or attorneys, presentation and public-speaking skills are more important than ever. In an age of shorter attention spans, dazzling 3-D PowerPoint presentations, and less human-to-human interaction, public speaking has become more challenging. 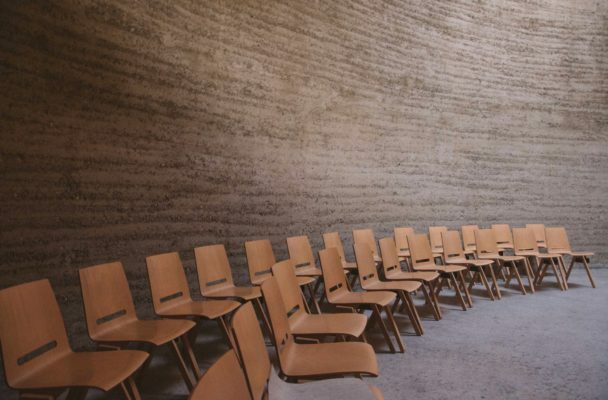 A new era of learning has emerged, and audiences are expecting smaller bits of critical information to suit their fast-paced learning behaviors. So, what’s a presenter to do? The fundamentals of public speaking still apply to a successful presentation, with a few modifications. In my unique position of recording CLE presentations at Colorado Bar Association CLE, I have watched over 7,000 legal education presentations in a variety of areas of law and have observed the evolution of the use of technology in teaching and education. Videos and more engaging tools are now more commonly integrated into visual presentations. The infamous PowerPoint has become a better tool for storytellers than the overhead projector, but the principles remain the same. Today, the art of storytelling has not disappeared, it is just delivered and absorbed in a variety of different formats. Despite modern technological advances in communication and new ways of learning, the old standards and fundamentals still apply. I always recommend a good regimen of preparation before a presentation, such as, practicing in front of a mirror, finding the weak spots in your material, and fixing tech problems ahead of time. Doing your homework will make you confident and less nervous about presenting. – Through my experience, I have put together five tips for a good modern-day presentation. – Engage with your audience and make it memorable. You can use smart phones to interact with your audience in the classroom by having them answer simple A-, B-, C-style questions via text messaging. – Be creative consider having some small take-home prizes to hand out to members of the audience who willingly answered questions publicly. – Use clips that will provoke conversations. I can’t tell you how many times I’ve seen clips of My Cousin Vinny in the CLE classroom, but it does add a lot of value to some presentations. Presenters have used videos of depositions, interviews, mediation videos, training and teaching videos, and news videos — each video with the purpose of educating the audience. And with the endless supply of videos on the internet, the possibilities are truly endless. – Choose wisely and keep in mind not everyone likes My Cousin Vinny video clips. This is a very useful tool, however, to spark conversation! – Keynote is the Apple version of Microsoft PowerPoint. – Prezi Presentations is an online version of PowerPoint and Keynote that is hosted on the cloud. – When using these tools, learn everything you can about them. Make sure you know your PowerPoint presentation and have reviewed it carefully, especially if you were not the creator. – It is the presenter’s responsibility to understand transitions, font sizes, how to embed videos, and, most importantly, how to use the “B” key in PowerPoint. There are virtually thousands of videos on how to use PowerPoint online. Investing some time in exploring and learning how to use these tools will help you build your confidence and make you look like a pro. If you don’t know how to insert a video into PowerPoint, Google it! – Don’t fear technology! We fear what we don’t know. You must be the opposite when it comes to your presentation. Explore how these new innovative tools can help you become a better presenter. Study how these tools are best utilized and customize your presentation. – For the past eight years, I have seen drastic audience changes in the classroom at the Colorado Bar Association CLE training room. There is a new generation of learners with their own style of learning that cannot be overlooked. – No one could have predicted that the learning styles from one generation to another would be drastically different. Technology now allows us to transfer information from one device to another at the fastest rate in human history. It has changed how the learning process works. – Do not be left behind. Keep up with the trends and stay on top. Your presentation should include elements that are relevant to your audience. – Technology is constantly changing; keeping apprised of the changing technology is the best tip I can offer to presenters. I hope you find these tips helpful and thought provoking. I really enjoy watching a good presenter who has done his or her homework and brings something new to the audience. Although these new teaching tools, learning styles, and multimedia use may not be applicable to all presentations, it is important to know how we can use technology to convey information in an engaging manner. 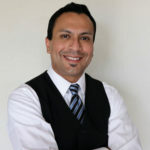 For the past eight years, Adrian Romero has been the technical producer for the Colorado Bar Association/CLE webcast programs. He has recorded and observed over 7,000 legal education presentations. Romero also helps presenters with presentation tips and technical advice. Aside from his duties at CBA/CLE, Romero produces special project videos for the Colorado Supreme Court, local district courts, and special law groups. Sarah Myers, executive director of the Colorado Lawyer Assistance Program, is the coordinating editor of this series of Wellness articles. If readers have suggestions for topics of future Wellness articles in the Docket, or feedback to the articles, contact Myers at smyers@coloradolap.org.